The implications of the UK Agriculture Bill go beyond farming. 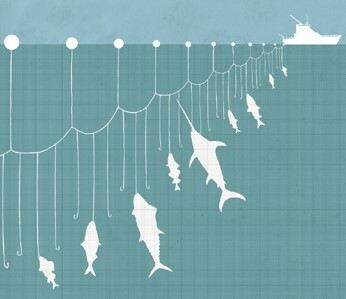 This article sets out the three big areas that sustainable fishing specialists may have missed. Those concerned with sustainable fishing need get involved in the parliamentary process to come. The headline policy in the draft UK Agriculture Bill is a shift farm payments to ‘public money for public goods’, defined in a list of environmental outcomes (plus ‘productivity’, a separate issue). And of course, farming methods have a major impact on both freshwater and marine fisheries. Farm payments could potentially be directed to farming methods that limit pesticide and nitrogen run-off, improve water quality, and shift livestock feed away from unsustainably managed fish-derived inputs. However, the environmental outcomes focus of future UK agriculture policy is controversial and needs defending. Voices from the fisheries sector would be helpful to demonstrate the widespread benefits of this approach. It will surely also help set the tone and remit for future fisheries policy and public subsidy. It has not been the stuff of headlines, but the draft UK Agriculture Bill also proposes powers for the Secretary of State for Defra to regulate the food supply chain, to prevent and penalise unfair trading practices, and to require industry to provide data. There are no duties in the Bill for the Secretary of State to do so, but this is surely a door that we can push wider, to help sustainable fishers make a decent living from their trade. At the moment, large buyers – supermarkets and processors – can pass risks and costs back down the supply chain to primary producers – farmers and fishers. If we want to see sustainable farming and sustainable fishing, then primary producers (at home and abroad) need to be protected and gain a fair income for their fish. Such powers (and duties to apply them) must be championed in the parliamentary process to come. The third big policy area is the money. Headline-writers and policy specialists have understandably focused on the c.£3 billion in farm payments that Defra Secretary of State Michael Gove is proposing to redirect to pay for environmental outcomes and ‘productivity’. However, the draft UK Agriculture Bill also contains a clause that covers the repatriation of several other European funding streams, including the European Regional Development Fund (ERDF), the European Social Fund (ESF) and the European Maritime and Fisheries Fund (EMFF). At the moment, the UK government’s plan once we withdraw from the EU seems to be to bundle up all such funds into a UK Shared Prosperity Fund, with as yet no indication of what this money will pay for, beyond ‘productivity’. This large collective pot of money – hard to calculate, but could theoretically be over £10 billion – has in the past paid for coastal development projects, fish landing and processing infrastructure, purchase of sustainable fishing gear, and EMFF is also earmarked to pay for new requiremebts for GPS tracking on fishing boats. Will such sustainability commitments survive the repatriation? It’s all to play for. Sustainable fish folk, get involved!